Photo Booth Hire Ireland - Photo Booth Hire Ireland, weddings, birthdays and more! If you want your event to stand out, then Photo Booth Hire is the answer! Want to create lasting memories, or leave words of wisdom for your hosts in a creative way? Then our Photo Booths are the way to go! Our photo booths gives guests the opportunity to create funny pictures, using props provided. Guests also have the chance to take home a print of their photo, and we will take a copy of each photo and add it into an album, giving your guests the opportunity to write messages to you, the hosts. Deposit for the Booth is €100. VIEW OUR PACKAGES HERE. Alternatively, take a look at our Selfie Mirror Hire. 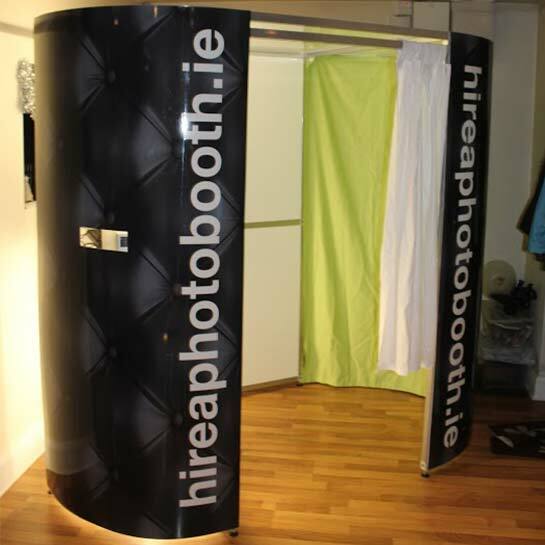 At hireaphotobooth.ie we are dedicated to providing a memorable Photo Booth hire experience for your wedding or function. We provide a professional and helpful service and cover all of the Republic of Ireland, namely Galway, Limerick, Mayo & Athlone.